It’s that time of year, leaves have fallen, daylight hours are shorter, and the temperatures have dropped. It’s also that time of year we call “cold and flu season." One thing that can help you from becoming a victim is vitamin D.
While we call vitamin D the “sunshine vitamin,” in reality, it is a hormone. Your body will manufacture vitamin D after exposure to sunlight. Problem is, where we are located in South Bend, there is no sun exposure that will amount to any production until May or June. Couple that with the fact that many individuals routinely wear sunscreen in the warm months (which blocks up to 97% of the body’s ability to manufacture vitamin D), it’s easy to see why 40 to 60% of the world’s population is vitamin D deficient. And though there are some natural food sources of vitamin D such as egg yolks, milk, mushrooms, and cod liver oil, they contribute an insignificant amount to meet our needs. We need to get our vitamin D through the sun and/or supplements. Ideally, during the warm months, we are allowing our arms and legs to get 15 minutes of sun exposure (without sunblock) 2 to 3 times per week. In the absence of that, and nearly year round, we should be taking vitamin D supplements. They are inexpensive and are well tolerated. Adults should be taking 2000 to 4000 IU daily. For obese individuals, and those with dark skin, the need is double to triple that. So why is Vitamin D so important? The list is almost endless because every cell in the body has a vitamin D receptor, meaning every cell in the body can use vitamin D. It contributes to bone health, heart health, cancer prevention, prevention of cavities, and brain health (including prevention of dementia and mood disorders). It also plays a critical role in regulating the immune system both in terms of preventing infections and in the development of autoimmune diseases. 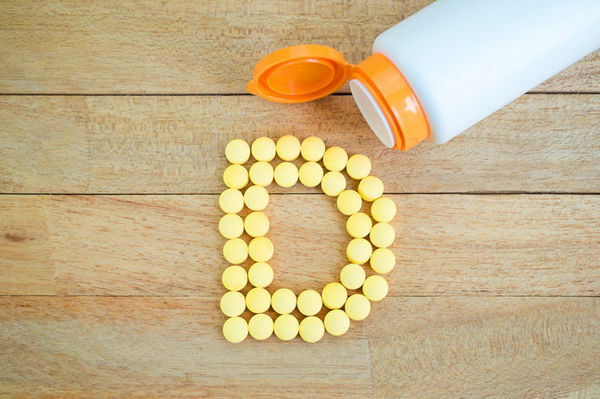 This is why vitamin D can prevent one from succumbing to the flu this year, and why adults who take vitamin D can reduce their risk of upper respiratory infection by 50%. So while as a dietitian I usually have a “food first” motto, vitamin D is the exception. We simply cannot get enough through our diets, and unless you live in sunny and warmer states year round, supplementation is a must! Holick, M. Ph.D, M.D. (2010). The Vitamin D Solution. London, England. Penguin Books. Myers, A. M.D. (2015). The Autoimmune Solution. New York, NY. Harpercollins. Originally published by Jocie Antonelli at dining.nd.edu on December 13, 2017.